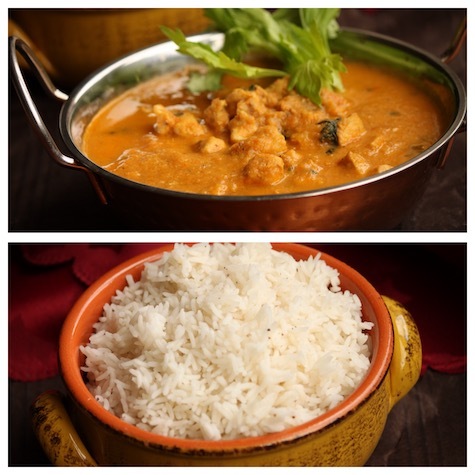 15 minutes of cooking in the Instant pot, butter chicken and basmati rice will be ready and this is one of the best tasting meals. I’ve used boneless chicken breast for making butter chicken; chicken breast and basmati rice can be cooked simultaneously at high pressure for 7 minutes. This is what I call effortless and delicious cooking. In a bowl, combine all the ingredients mentioned 'for marinating chicken'. Keep aside. 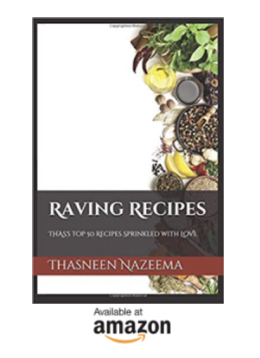 Use a bowl that will fit well in the stainless steel pot, combine basmati rice along with Garam Masala, water and salt, keep aside. Turn on Instant Pot. Select Saute Mode, Medium Temperature. Let HOT sign appear on the display. Add onions, season with ½ tsp salt. Cook for 2 minutes. Add garlic and ginger. Cook for 3 minutes. Remove the stainless steel pot from the main pot. Cancel Saute Mode. Transfer the cooked onions/tomatoes into a blender. Add 1 cup water and grind to a smooth paste. Pour the ground onion/tomato mixture into the stainless pot. Rinse the blender jar with ¼ cup water, add that as well. Add the marinated chicken, combine well. Add tomato ketchup. Combine well. Place a TRIVET over the chicken and gravy. Place the bowl with the rice and water over the trivet. Select Pressure cook mode, high pressure, TIME 7 Minutes. After 7 minutes pressure cooking, do a quick pressure release. Remove the rice bowl from the trivet. Keep covered. Select Saute mode, set to LOW Temperature. Add milk cream or coconut cream, combine well and cook for a minute. Add garam masala, combine well. Add chopped cilantro and butter. combine well. Taste and add salt accordingly- ¼ to ½ tsp. 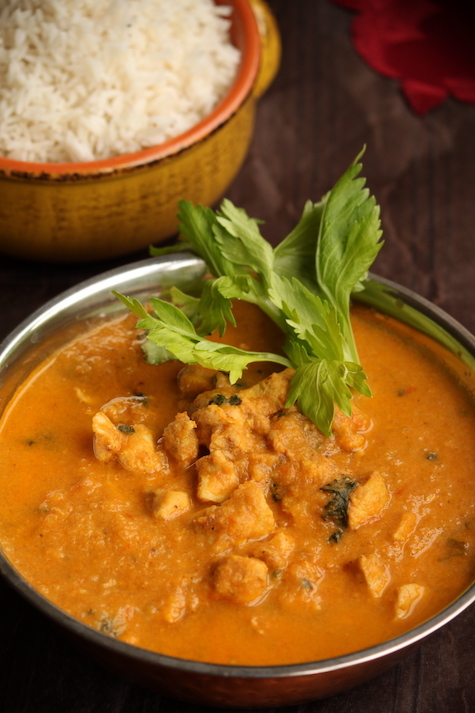 Serve this delicious butter chicken along with basmati rice.